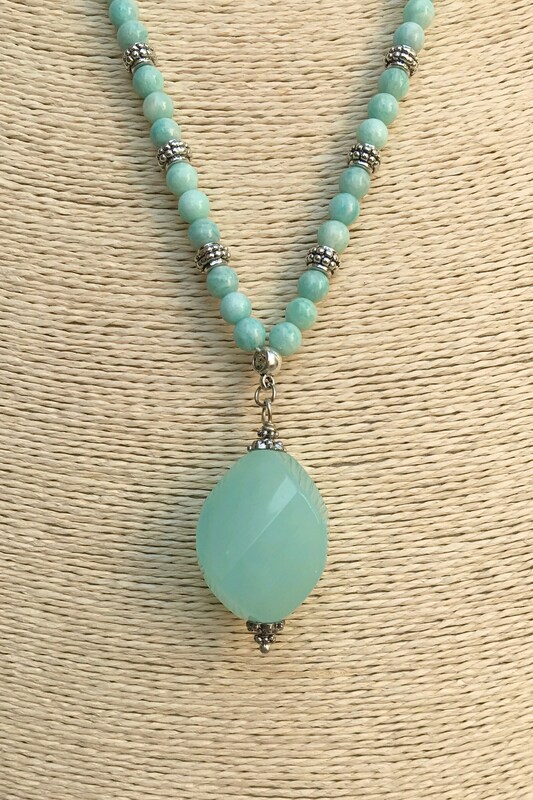 Blue-green amazonite beads with silver beads and blue-green jade pendant. 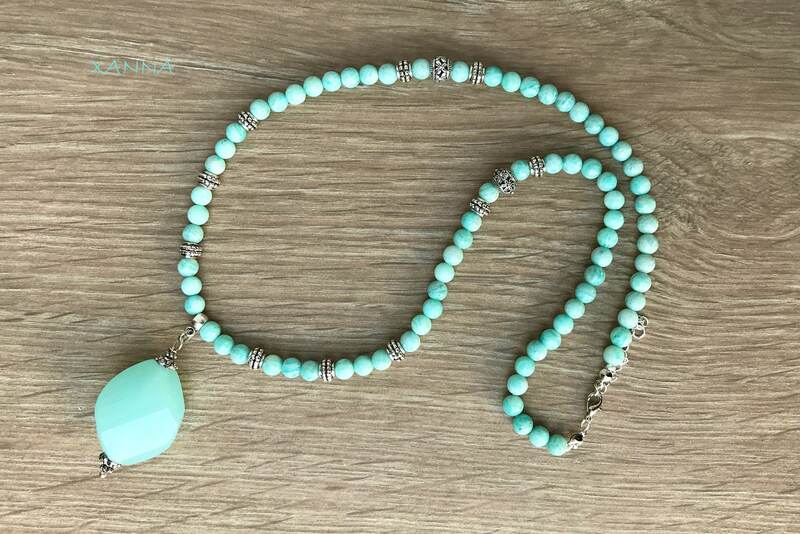 Total length of necklace with pendant: 34.5 cm. It was named "Stone of the Amazon" by the comparison with a nephrite, in the antiquity the Indians believed that it came from the Black River in the country of the women without men. However, it is doubtful that green feldspars can be found in the Amazon area. The etymology of the term "JADE" goes back to the times of the Spanish conquest of South and Central America and means "stone of Aijada" because it was attributed the property of being able to cure the diseases of the kidneys. 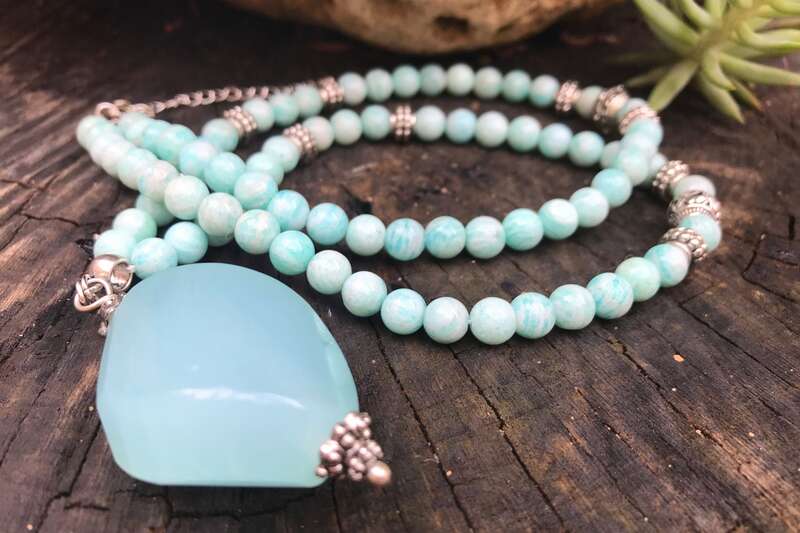 The French Damour was able to show in 1863 that under this resistant stone known for 7000 years, two different minerals were hidden: the jadeite and the nephrite. In prehistoric times, Jade was a highly prized material for the manufacture of weapons and instruments. 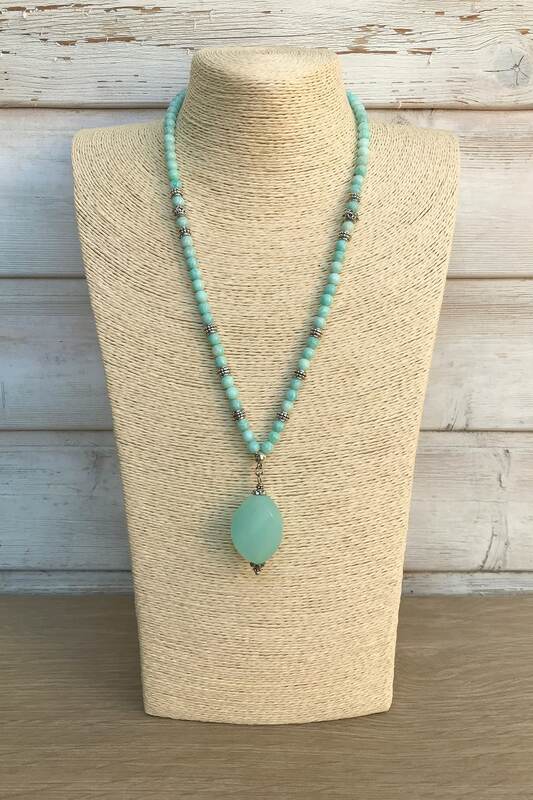 Green Jade is said to favor emotional liberation, especially irritability, Jade encourages you to be who you really are, encourages self-actualization, encourages wealth of ideas and dynamism, green minerals have a harmonizing effect and Neutralizer. The green liberates the feelings, increases the speed and capacity of reaction and arouse interests and enthusiasm.